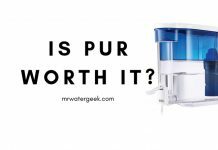 Home Water Filters Water Filter Products & Appliances AquaTru Water Filter Review: Should You Believe The HYPE? 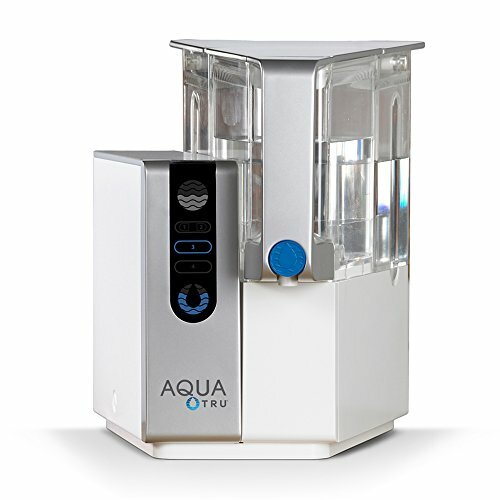 This AquaTru water filter review is necessary because this brand of filter has exploded in popularity. It’s popular because of impressive capabilities when it comes to removing harmful contaminants. This is based on its ultra-reverse osmosis technology that can eliminate 74 kinds of impurities. Also bear in mind that this is only part of the four-stage filtration process that Aquatru filter makes use of. However, the main filtration method is the ultra-reverse osmosis technology. This “ultra-reverse osmosis” is based on a filtration method where water molecules are pushed through a semi-permeable membrane. The result is that no contaminants end up in your drinking water. 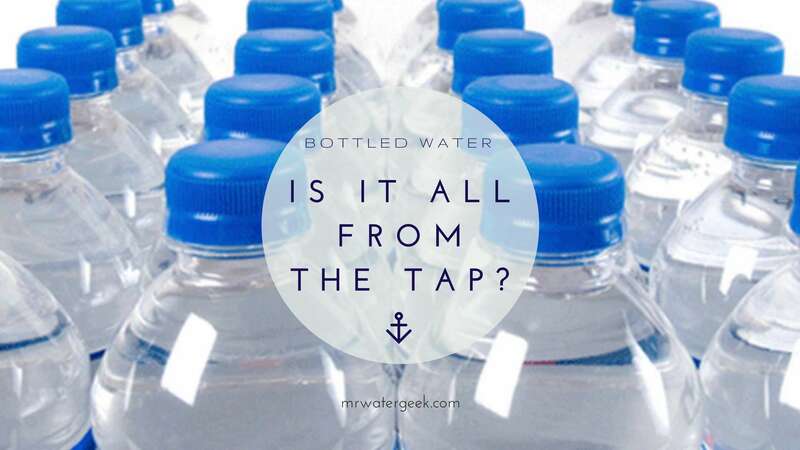 This technology is used by water bottling companies and this gives you an idea how powerful this technology is. The power of this water filter is why it’s recommended by health professionals like Dr Hyman. This AquaTru review will let you know if you should really believe the hype and whether it’s worth buying. AquaTru Filter Replacement – How Often? How Much Does AquaTru Cost? Why might the Berkey be better? 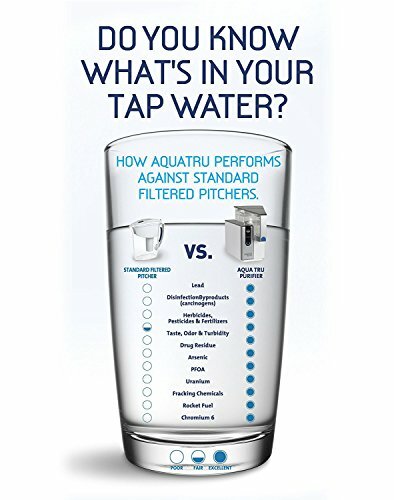 AquaTru Water Filter Review: Is It WORTH More Than $350? The first thing to note is that AquaTru is not the cheapest water filter that you can buy today. However, it is undoubtedly very popular and a powerful form of filtration that works off the “Ultra Reverse Osmosis” technology. This technology is capable of removing large amounts of contaminants. The difference between the ultra reverse osmosis and regular reverse osmosis is that the former is more effective at eliminating impurities. For instance, AquaTru is able to remove more harmful chemicals. Chemicals that include lead, herbicides, drug residues, pharmaceuticals and chromium. The ultra reverse osmosis works within 4 levels of filtration. The first stage is the pre-filter. Stage 2 is activated carbon. And then the third stage is the ultra-reverse osmosis filter. The final stage is the activated carbon filter made of coconut shells. 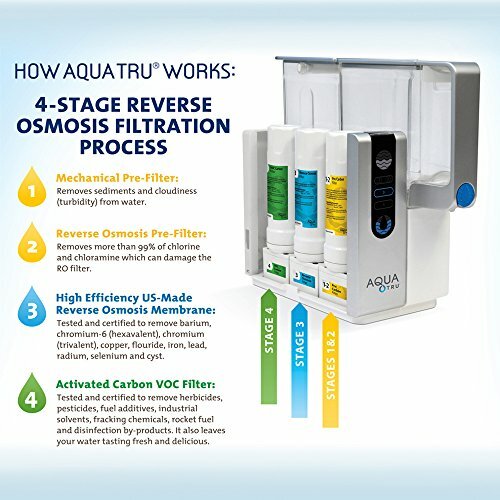 A powerful 4-stage filtration process that removes many bacteria and harmful chemicals. Very easy to install, set up and configure. It uses ultra-filtration through reverse osmosis. Compact design which means that it can fit under the kitchen counter. NSF certified to eliminate a long list of pollutants. A frontal water tank containing clean and filtered water. Both tanks are made of Tritan BPA and BPS-free plastic and dishwasher safe. 4 different filtration levels (in 3 interchangeable filters). Base unit housing electronics and filters. Stage 1: This stage is the mechanical pre-filter that removes sediment (rust, sand, stones, and dust) from water. It removes all the bits and pieces so that the other filter stages run smoother. Stage 2: This is the activated carbon pre-filter that removes 99% of chloramines and chlorine. The water is already pretty safe to drink at this point but the stages don’t end here. Stage 3: The third stage is the ultra-reverse osmosis filter. This stage eliminates toxic inorganic contaminants. 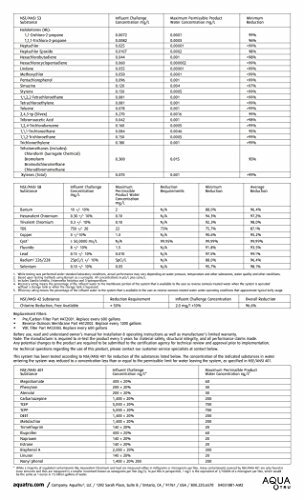 This includes everything from chromium-6, trace pharmaceuticals and lead. In fact, this is really the stage that does all the “heavy lifting”. Stage 4: COV filter coconut shell activated carbon. 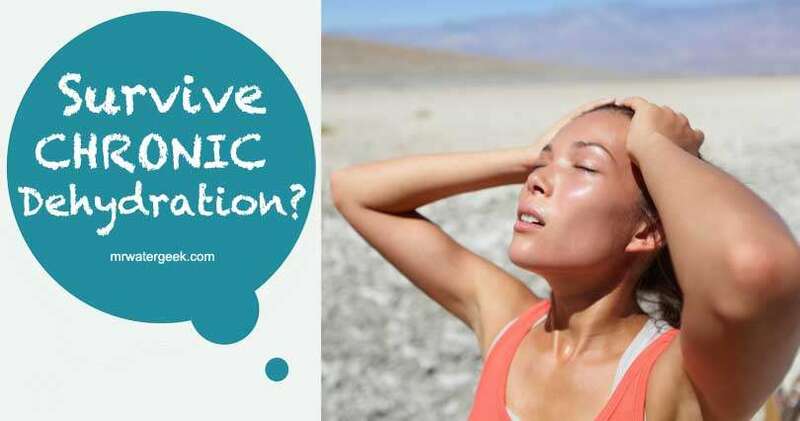 The final stage is responsible for eliminating toxic organic chemicals. Before using this water filter system, the manufacturer say that you must clean each tank with warm and soapy water. Once it’s clean, start by connecting your power cord to AquaTru. After lifting the side cover of the base, screw the three filters into their specific, color-coded spots. Then place the filtered water tank on the front of the base. Remove the water tank without a back filter, fill it with tap water and put it back in the base. On the back of your AquaTru base, activate the red on / off switch. At this point, the device begins to filter. The company notes that bubbles and opacities may occur at first power up, even though this is simply the trapped air leaking from all three filters. The control panel indicates that each filter is performing its task while the water is circulating through it. Finally, just place your glass under the front of the filtered water tank, press the blue button and the water comes out. AquaTru RO filter can filter 1,200 gallons. The pre-filter and VOC filter hold 600 gallons. Currently, the price of AquaTru is a few hundred dollars – check the latest price here. These prices do not include the cost of replacement filters. However, remember it can save thousands of dollars over time. This is because it will save you the on-going cost of having to buy bottled water. Yes, it uses electricity but the AquaTru uses a 120-volt outlet. This means that it only consumes approximately $2.00 / year in electricity. 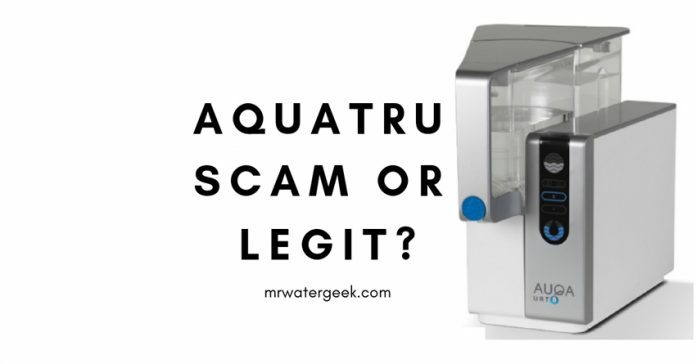 AquaTru offers a standard 30-day money back guarantee. There is also a full 1 year limited warranty (it states this directly on its website at the time of writing this review). If you are seeking a similar high quality filtration on the market today then you will be confronted with the option of Berkey. But how do they compare? 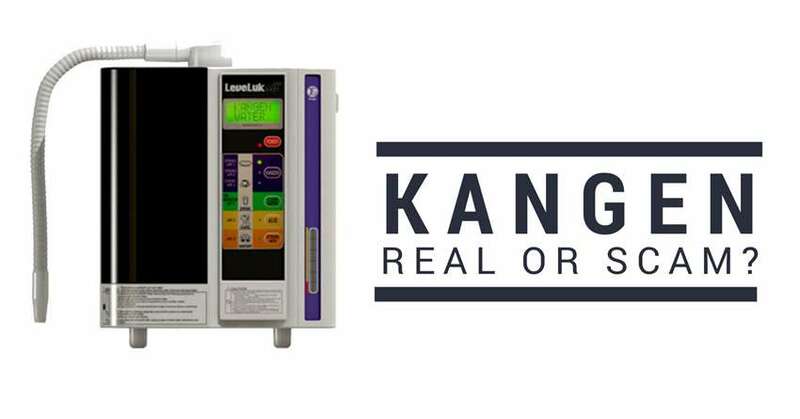 Suitable for emergency situations because it doesn’t use or need electricity to work. 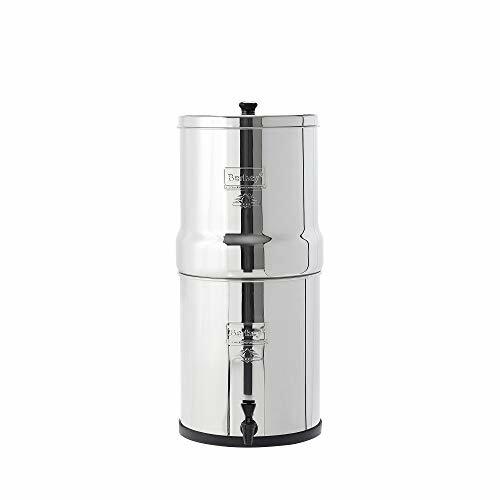 The Big Berkey can filter up to 6 gallons while the AquaTru can only do 3 liters. And it can do this in less than 15 minutes. Berkey can be cheaper – depending on which option you take. At the time of writing this, the cheapest model of Berkey (1.5 gallons) costs $230+. However, compare this to the current listed price of $349 for the cheapest AquaTru. The Berkey is a more established brand with lots of happy customer reviews. 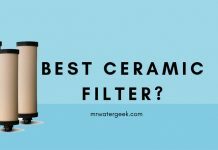 It is a good water filter system that creates impressive results but I can’t ignore some customers highlighting potential issues with the quality of the materials. Now, it’s important to be clear that there are many happy customer reviews online from people who own the AquaTru. Most comments and reviews seem to show that people are satisfied and happy with their purchase. Particularly happy with the performance. However, if you are interested in the cost and effort of installing (and maintaining) an integrated RO system, this may be a good option. 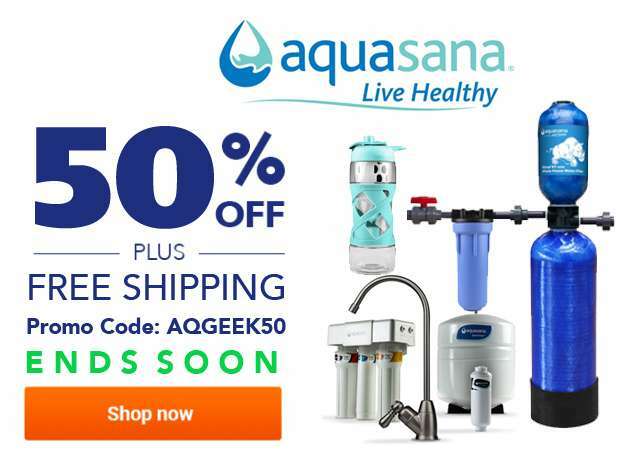 Other good alternatives are the Berkey water filter or the Aquasana Clean Water Machine. 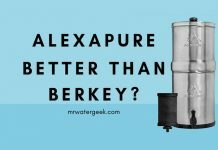 Next articleProPur Water Filter Review: Is It Better or WORSE Than Berkey?